Veronica Darling: And one more thing! 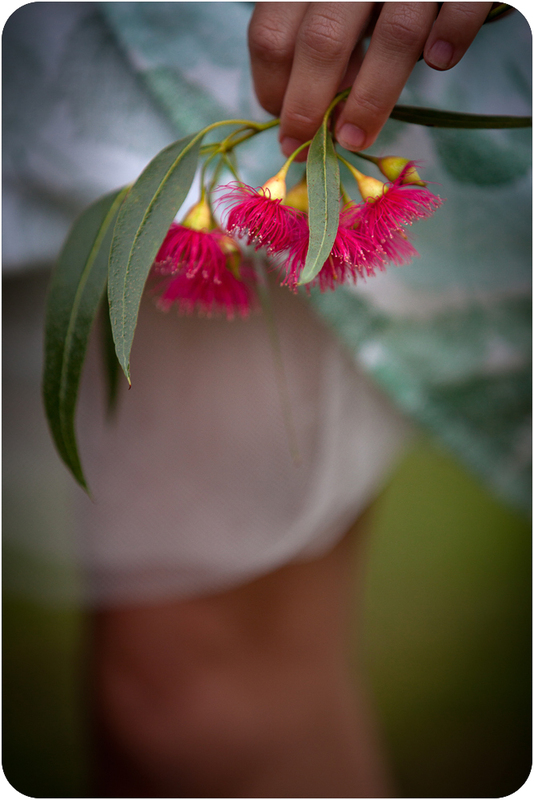 Here's the blossom element in my dress... I added some soft (curtain) tulle underneath (and lined the bodice with some extra lining material from the stash) to make the dress extra special, and kinda like those little Gumnut Babies (when they wore clothes!). But also, did you know about the Sewing World Gone Mad? Yes it's gone completely mad (LOLZ, if you want Melbourne TV ads over the years, you'd know what I was talking about!) and Kathleen has rounded up a huge crew for FREE PATTERN MONTH! OMG! I'd get into it if I were you! When I get a minute on the weekend, I'm going to spend HOURS looking through everyone's tutorials! YAY! your photos have just been STELLAR. i just cut it and leave the raw edge!!! actually, you must cut VERY slowly and carefully to get a neat edge (one of those armholes still needs a little TLC). unlike other materials, i find that you have to use the smallest snip of your scissors to get a clean edge on jersey. 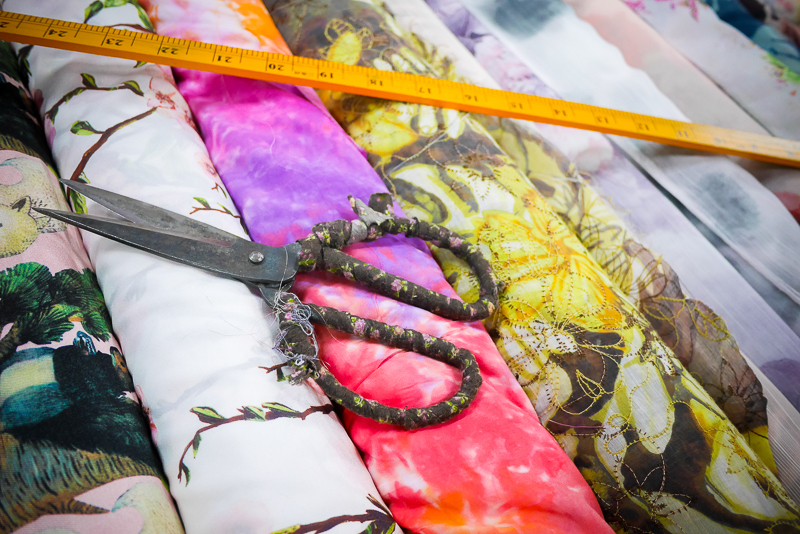 otherwise, the fabric will roll away from the scissors, and leave you with those little bitemarks at each new cut. as for overlocking, a lot of futzing with various tensions is in order, and then never ever stretch the fabric when sewing. if you're hemming it, you need at least an inch to fold so that it won't go curling on you. topstitching: i always use the biggest straight stitch possible, which for my vintage kenmore is an 8. otherwise the smaller stitches will pop and warp.